My roommate's friend recently admitted this to her as she explained how social media affects her body image and self-esteem. This problematic comment had me wondering: How many young women feel this way while scrolling through their Instagram feed but are reluctant to reveal their insecurity? How does social media affect the health of students in Ontario, and how can they prevent unrealistic images from distorting it? 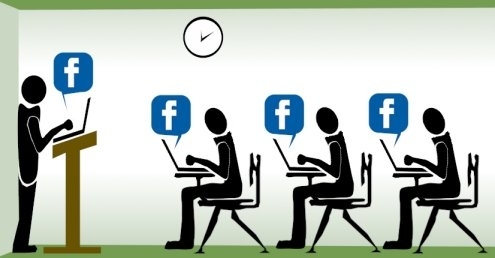 28% of students who used social media for 5+ hours/day rated their mental health as “poor” or “fair”, but only 11% of students who did not use social media or did not use it daily gave the same response. 49% of participants who used social media for 5+ hours/day indicated a moderate or high level of psychological distress, while just 19% of students who did not use social media or did not use it daily indicated the latter. While no one can be certain that social media was the direct cause of these students' distress, it is clear that far more students who used social media frequently had negative mental health experiences than those who didn't. Depression and anxiety are two common mental health issues, and low self-esteem has been linked with both. A poor state of mental health can have severe effects on the body. Individuals who have poor mental health have been proven to be at higher risk for developing chronic physical conditions than those who do not. In addition, people who are under psychological distress often have physical symptoms such as headaches, chest pain, back pain, or an upset stomach, and can develop more dangerous conditions like elevated blood pressure or stomach ulcers. Using social media for extended amounts of time everyday also allows less time for exercise, an activity that actually boosts your mood while improving your overall fitness. 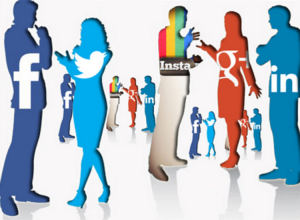 Does this information mean that you should stop using social media altogether? Not necessarily. 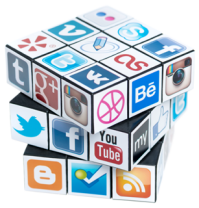 When used in moderation, social media can be a powerfully useful instrument with little or no negative consequences. Considering that Ontario has the highest number of Facebook users in Canada, it can serve as a valuable tool for networking along with other social media outlets and can be a great way to connect with friends and family. However, if you personally find that Instagram (or any other platform) is damaging to your mental health or self-esteem, deleting your account may be the best solution. Your health is much more important than what you could be missing out on! Make yourself a list of goals to achieve everyday. Proving to yourself that you're capable of completing any task will raise your self-esteem over time. Give yourself credit for your accomplishments. When you achieve a goal, don't undermine its importance. Get adequate sleep and moderate exercise, avoid drugs and alcohol, eat healthy: These habits reduce irritability and negative moods, which could be contributing to feelings of low self worth. Seek comfort from family and close friends. Spending time with people who appreciate you is a great way to boost your confidence when you're feeling down.